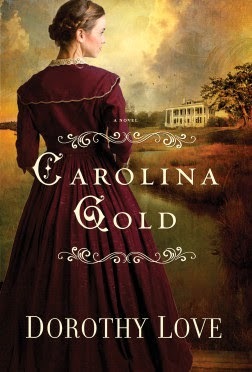 Dorothy Love has crafted her book Carolina Gold from a collection of articles published post-Civil War in the New York Sun by Elizabeth Allston Pringle. The historical articles were collected in a book called A Woman Rice Planter. The book gives a detailed description of the difficulties in the South after the war. After the death of her father, Love’s protagonist, Charlotte Fraser, is the sole owner of Fairhaven Plantation. With the freeing of the slaves she has no workers, a ruined house, and little money to plant a rice crop. Charlotte and her neighbors enjoyed a privileged life before the war and were reduced to what felt like poverty post-war. I liked the fact that while the book is centered on the difficulties of plantation owners, the author gives the reader a look into the lives of other social classes as well. Love touches briefly on the new sense of independence that former slaves were just beginning to enjoy. 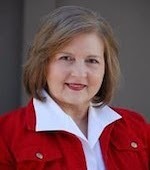 Her profiles also include Daniel, a bright ambitious white boy born in poverty who craves an education. Also, Mr. Finch, the overseer who left his family and traveled out of state for work. Then there was the 14-year-old orphan left to fend for herself in New Orleans. It seemed a matter of perspective. Indeed, life had changed for the planter class and there were difficulties. However, the planter class still had advantages such a social capital. Charlotte was able to call on old friends of her father or people who had known her father, several times when she needed assistance. The lower classes did not have this advantage. I thought the contrast between the plantation owners and the people who truly lived in poverty was striking. I loved the detailed look at the summer cottage and the beach culture on Pawley Island. This is where the upper classes spent the summer, escaping the heat, humidity and threat of yellow fever. The lifestyle was enviable. There is also a love interest between Charlotte and a new French man who inherited a nearby plantation. The book is a historical look at a period of great change in our country. I did enjoy the book, especially the description of summer at the beach. I had a minor complaint. My eyes are not perfect and I struggled to read the passages that were correspondence, written in cursive. Realistic perhaps, but difficult for me to read. I do recommend this book. I received a copy from the publisher in exchange for a review. All opinions expressed are my own.